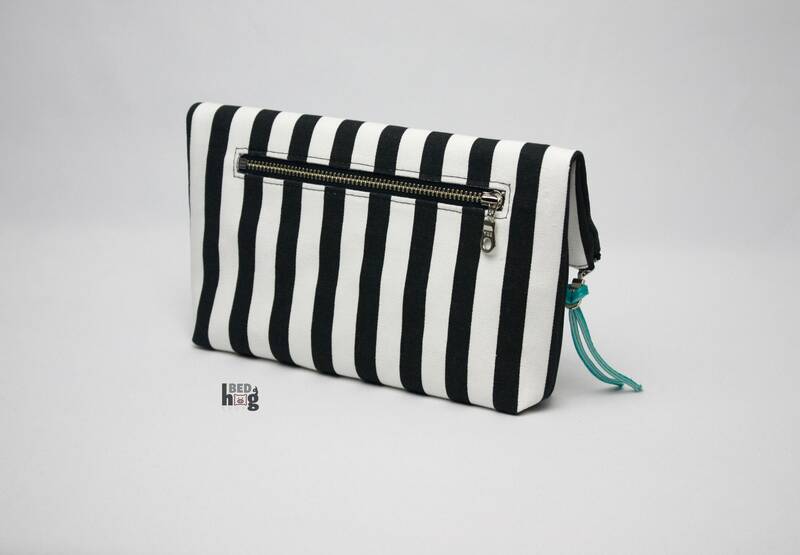 This bag is perfect for use as an evening bag or a casual everyday bag. 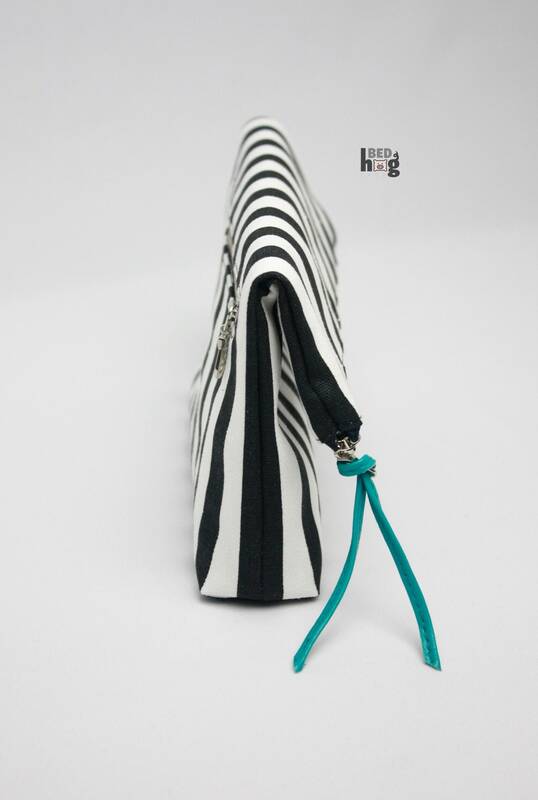 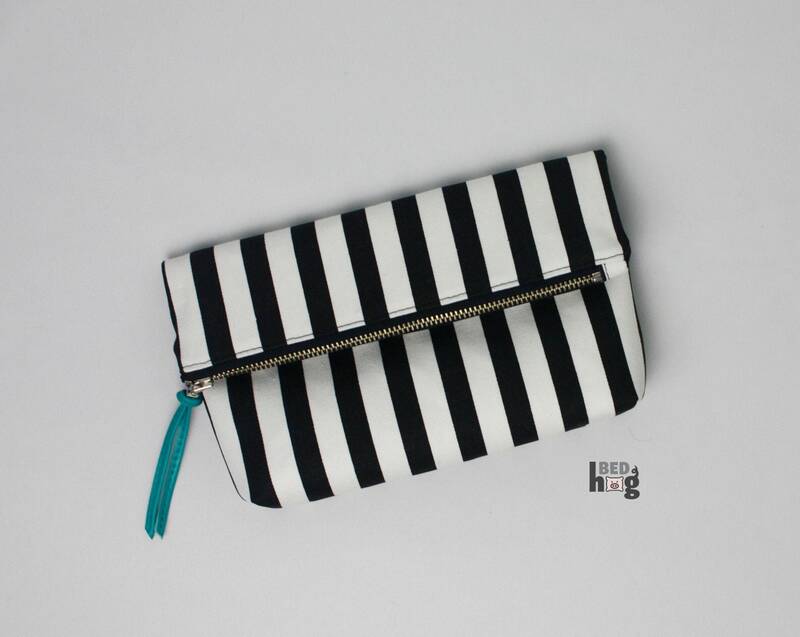 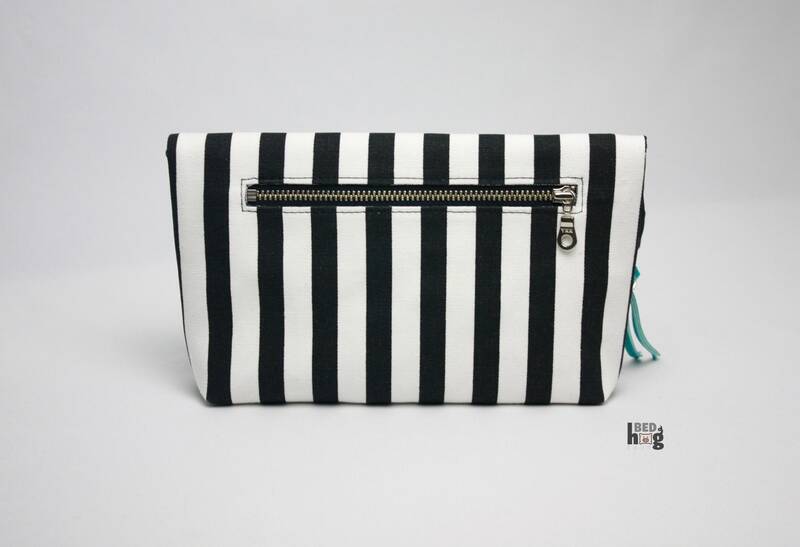 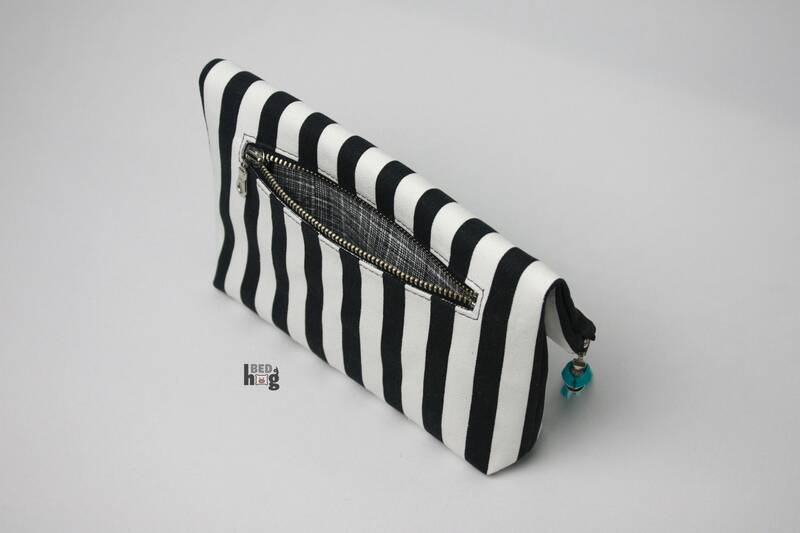 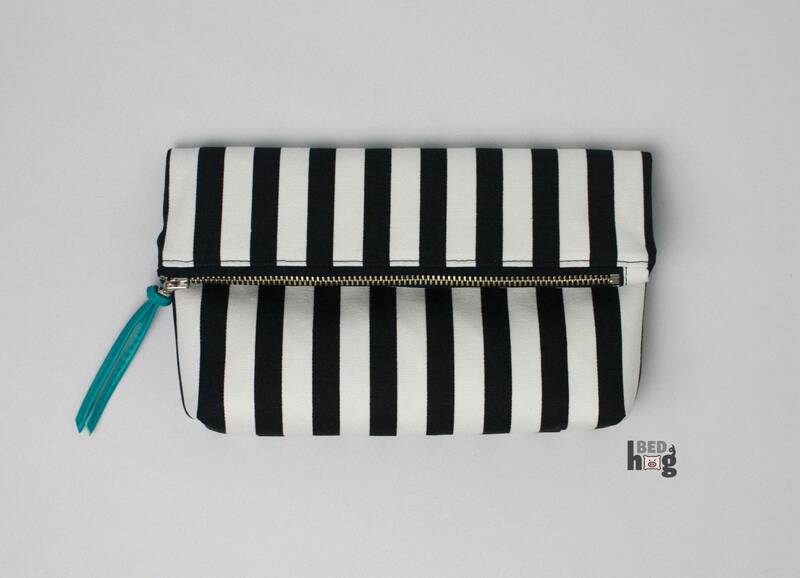 This bag is made from black and white stripe print fabric in cotton duck, and is lined with black and white woven lines cotton with a metal zipper closure. 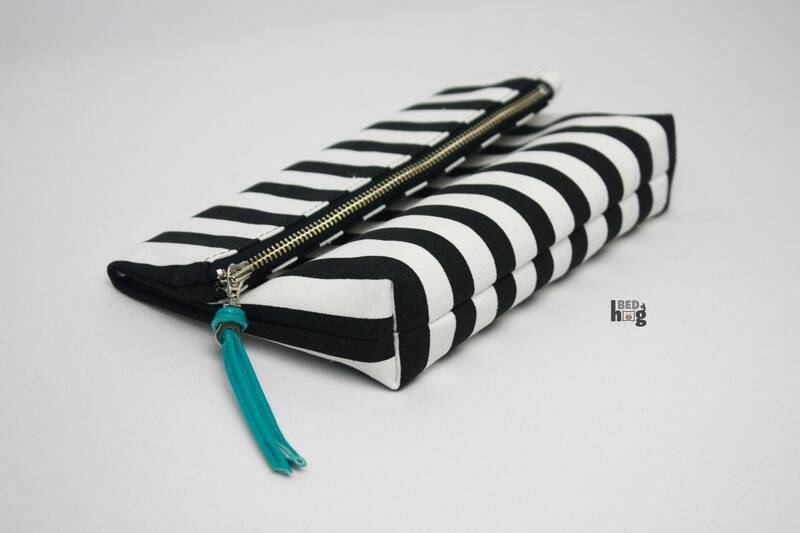 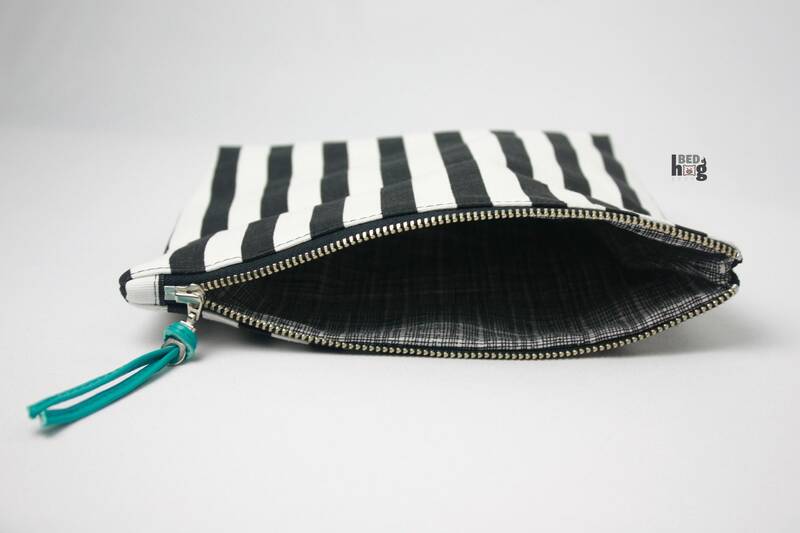 There is an exterior rear zipper pocket also lined with black and white woven lines cotton. 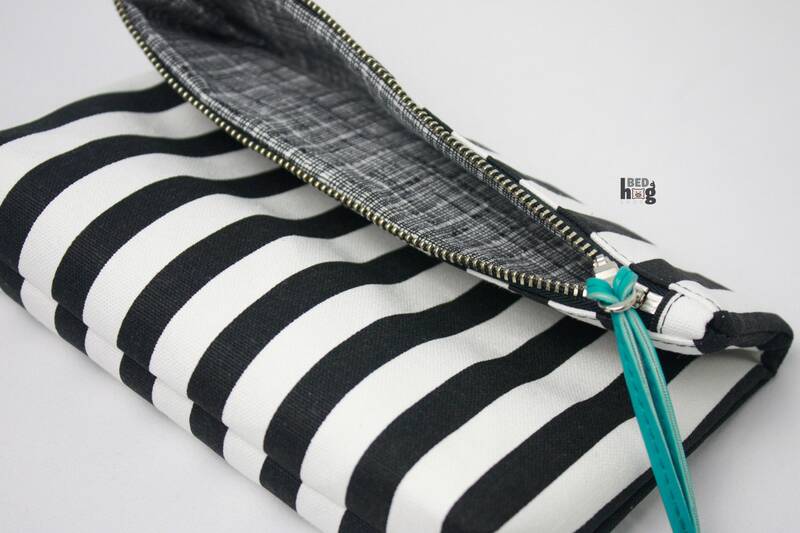 Turquoise vinyl zipper pull.